The Americana Pulse | The Heart of the Songs. The Roots of the Music. This site has sat in silence for a bit of time now. I’ve nearly dusted it off on a few occasions during that time, but I always seem to get distracted for some reason. That does’t mean I haven’t thought about coming back to it. A few times lately, I’ve had some kind of thought, review, or rant pop into my head and bounce around for a day or two. I come here to hash it all out into a post… and it just comes out in a tweet storm instead. I like that format, but I like this one better. I’d like to use it more frequently. There’s no way I have the time these days to commit to updating on any kind of regular basis. So I’m not gonna promise to do that. I’m just going to promise to try to not leave this space blank for 20+ months at a time. If something gnaws at me for a minute, I’ll try to address it here. We’ll see how it goes. Anyway… A lot of folks have been posting their mid-year lists of the best records of 2017. That got me thinking about my favorite records of 2017. And… well… since I just promised to try to write things out when they get bouncing around in my head, here are my ten favorite albums to this point of 2017, ten more albums that are also great, and a Spotify playlist containing 50 tracks from those 20 albums. Ryan Adams may be the most prolific songwriter of my generation. It’s a well documented trait that has been both his blessing and curse over the years. Adams floods the world with songs (even this February release has already been followed by a Prisoner B Sides album), often resulting in albums that my ears would define as containing nearly equal amounts of hits and misses. For that reason, many of Adams’ later records seem to blend into one in my memory. For some other reason, most of the songs on this one seemed to break through and hit with me the first time around… and have stuck there as well. Where do I even start with this record? Rhiannon Giddens second solo album presents an artist so comfortable in her own skin and so capable of tackling delicate and complex social issues through song that her own original compositions dealing with the African-American experience in this country ranging from slavery to the Black Lives Matter movement stand shoulder to shoulder with the Pops Staples composition that gives this album its title track. Simply put… Giddens is one of the greatest talents working today in any genre of music. From her operatically trained voice to her razor sharp pen, Giddens possesses the ability to move the listener in any number of ways. Just a couple of years ago, Hurray for the Riff Raff’s Alynda Segarra called for folk singers to “fall in love with justice” and “sing the tune(s) of this time.” Segarra has risen to her own challenge with her latest effort, a concept album of sorts that finds her fully embracing both her Puerto Rican heritage and her New York City upbringing. The centerpiece of the album comes near its end in the call to action track “Pa’lante.” Translated into English, the abbreviated phrase pa’lante roughly means “forward.” That’s exactly where Segarra is looking with this record. As a songwriter, Jason Isbell possesses the highly enviable talents of observation and interpretation… to make the mundane moments of others’ daily existence profound. Take for example the character study that is “Cumberland Gap.” Here Isbell fully inhabits the life of an Appalachian miner’s son who dreams of forging his own path, though he is destined to succumb to the gravitational forces of his hometown. When he turns those powers on himself and his own house, we get songs like the stop-you-in-your-tracks-powerful “White Man’s World.” Here, Isbell the father simply wishes for his young daughter to have opportunities those who came before her did not. Hell, he wants the same for everyone. For an artist releasing her debut solo record, Lillie Mae Rische has a pedigree many musicians with several recordings under their belt would be jealous of. Mae has garnered attention in recent years as fiddle player and vocalist in Jack White’s band. Before she was even 10-years-old, however, Mae and her siblings were mentored for a time by none other than Cowboy Jack Clement. Elements of Clement’s classic country influence as well as White’s edgier modern approach can both be found here. Make no mistake, though. It is readily apparent as soon as Mae belts out the unadorned first line of the album opening “Over the Hill & Through the Woods” that she is her own artist with her own voice. Honestly, I think this album landed its spot on this list before I even heard it. I got to host Moreland for a brief interview and performance when he was in town a few weeks before the record’s release. By the time he (along with John Calvin Abney on guitar) was done with the first verse of a live (radio friendly) version of “Sallisaw Blue,” I knew I was gonna love the whole thing. Moreland has always been adept at spilling the entire contents of his heart into his work, and he does not disappoint on that front in this set. In fact, Moreland’s writing style may be best summed up by the very self aware closing line from this disc’s “Old Wounds.” Moreland sings, “If we don’t bleed, it don’t feel like a song.” John Moreland has songs. Maybe the highest compliment I can pay this album from Brooklyn classic country newcomer Zephaniah Ohora is that I was over halfway through listening to the thing before I realized that he was singing original songs. The ghosts of George & Merle are so tightly woven into the sound of this record, I initially assumed Ohora was simply mining some lesser known gems from their catalogs. Seriously… tell me Merle Haggard didn’t write “Songs My Mama Sang.” I’m still not sure I believe he didn’t. Having said all of that, this record should in no way be mistaken for some sort of paint-by-numbers aping of the past. Ohora certainly has his ears pointed toward his predecessors, but his heart and soul (& this album has plenty of both) are firmly planted in the present. Simply stated… I’m not sure I’ve heard a better sounding record in 2017. The first thing you notice when listening to Caroline Spence is her voice. It’s lilting and ephemeral… yet firmly in command of each melody and refrain. The strength of this album, however, lies in Spence’s songwriting. Whether it’s the road weary loneliness of “Hotel Amarillo” or the deep personal confessions of “Southern Accident,” Spence strikes a resonant chord in the listener by placing a bit of herself into each and every song. “Softball” is a tune I got a preview of back in 2015 when I hosted Spence at WDVX. This song alone should put her in conversations alongside Giddens, Isbell and a handful of others as a songwriter with the ability to subtly address the issues of our time for how it deals with the language of sexism in today’s society. Spence also gets bonus points for making my wife’s favorite record to this point of 2017. So you thought Sturgill Simpson had the market cornered on psychedelic country records? Not so fast. On Way Out West Marty Stuart and his Fabulous Superlative band mates (Kenny Vaughan, Harry Stinson, Chris Scruggs) embark on a sort of Western travelogue full of surf rock instrumentals, Bakersfield bravado, and… yes… even pill fueled psychedelic swagger. The thing about Marty Stuart, though, is that he is such a student and historian of country music and all of its forms and influences, that all of these stylistic detours are expertly pulled off and give the album a perfect variety of textures to hold the listener’s attention all the way to the end. It’s a question every single attendee of the Americana Music Conference & Festival has asked or has tried to answer at some point over the last 20 years. I think that… maybe… I’ve finally figured it out. You see… most definitions and debates tend toward pigeonholing the music itself. The actual definition as found in Webster’s simply calls it, “a genre of American music having roots in early folk and country music.” The fact that the above sentence is even included in Webster’s at all is a testament to all the work the Americana Music Association and its members have done to promote the genre over the last two decades, and is probably as succinct and accessible a way to depict the music as possible. It’s the definition of a dictionary definition. Of course, it leaves a lot of things up for debate as well. Is this band too country? Is that one too pop? What about blues and bluegrass? Folk? Southern Rock? Does Texas play outside of Texas? I’ve been dragged into (and instigated) all of these arguments many times over. I’ve gotten quite heated over a few of these things once or twice as well. After spending this past week in Nashville at the Americana Music Conference and Festival, however, I’m convinced that none of that matters… at least, not as much as we might think. The community that exists around this music… these artists… this festival is unlike any that I’ve ever been a part of. I’ve been working in radio with Americana artists, labels, and promoters for nearly 15 years now, and nearly all of them have been wonderful to work with. They’re the people I’m happy to reconnect with and swap stories with each year when I come back to town. The people who gravitate toward making, sharing, promoting, and listening to this music just seem to be good decent people who are in it for all the right reasons. It’s a feeling I’ve had for some time, but several things that I witnessed or that happened to me this week just made it all the more clear. Americana is Lilly Hiatt asking me about my daughter when I ran into her at The Mercy Lounge. She didn’t ask how her record was doing at the station or anything business related. She asked about my five-year-old kid who she had only met once over a month ago… and she asked about her by name. Americana is Trisha Gene Brady from the Black Lillies loaning a guitar to Raul Malo so he could go on the air with Chuck Taylor from KHYI and play a song with Whitney Rose. It’s also Trisha subsequently geeking out about watching Raul play her guitar. Americana is other stations like KHYI and WRLT letting me invade their space and their studios to record interviews that will appear on my station (not theirs) because we’re all working toward the same goal of promoting the same music. Americana is Doug Seegers staying out well past midnight to watch The Hello Strangers play their showcase at City Winery on Saturday night. Doug had only met the Strangers backstage before the show and had wrapped up his own set several hours earlier. Americana is Doug Seegers deciding he had gotten to know sisters Brechyn Chace and Larisssa Chace-Smith from The Hello Strangers well enough to change their name to The Hello Friends and shouting that fact to the gathered crowd at the venue. Americana is walking in to The Basement to see emerging songwriter Ryan Culwell perform and seeing other songwriters like Robbie Hecht, Caroline Spence, & James Wilson from Sons of Bill all there to catch the set too. And they weren’t just there for something to do. They were there because they all were friends with Ryan and respect his work. Americana is Sam Lewis offering me the use of his car and shuttling me around East Nashville when my own car broke down on Saturday afternoon. Americana is everyone from the gals in Underhill Rose to the President of Thirty Tigers offering to do the same when it looked like I might be stuck auto-less for longer than I was. 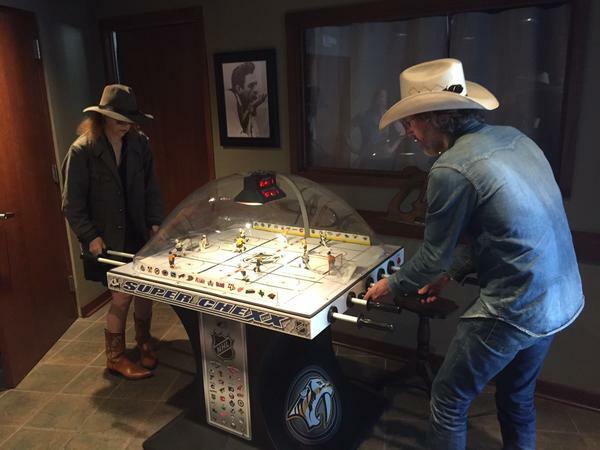 Americana is Dave Rawlings and Gillian Welch playing electronic table top ice hockey. Americana is scheduling a 15 minute interview with Dave Cobb and having it turn into lunch and nearly an hour of just hanging out, talking music, and swapping stories. It’s also running into Dave later in the week and him calling me over to say hi and ask how my week was going. Americana is conducting interviews with 15 artists in four days and having each one completely lock in on my questions and answer them with depth and honesty. Americana is having cool moments with those same artists after the tape stops rolling… Lindi Ortega taking a selfie to send to my daughter… Patty Griffin signing a CD for my wife… Josh Ritter talking about the finer points of hip hop and the remix artist, Girl Talk. Americana is seeing other moments… smaller, personal moments from some of these same people that I don’t need to mention here, but that show me what kind of people they really are. I don’t say all these things to drop names, or talk about what fun I had or things I did this week. I say them to illustrate the type of people who we work with within the genre. I say them because I bet a ton of other people who attended the conference this week had similar experiences as well. I say them because I also bet these stories don’t exist in the same volume at other conferences and industry gatherings like they do here. None of these artists I mentioned were under any obligation to do the things they did… for me or for anybody else. Do you think Dave Cobb needs to be that nice to me? Does Patty Griffin… or Gillian Welch… or Gretchen Peters… or Mojo Nixon… or any of the other people I had positive interactions with this week? They don’t. I still have to worry about which artists and sounds belong in my playlist at WDVX every week. So do KHYI and WRLT. Odds are I’ll play some artists they don’t, and they’ll play some artists I don’t. Same with WNCW and KNBT and Outlaw Country and every other Americana station and show that is out there now. We all have different audiences and different sounds, and the questions of which artists are right for which outlets will continue. But setting a station playlist is not defining an entire genre. There are bands on the Americana chart that don’t work for me. There are others who can’t sniff the charts, but do very well on our station. Every other station in the format has a list of artists they can cite from each of those categories as well. Maybe I’m done trying to define it by sound or genre lines or my own personal tastes. Maybe it’s something as simple as good people making good music for good reasons. If you’re a good person with a good song, come have a seat at the table. If you’re already at the table, feel free to share a few of your own stories as well. It’s Wednesday, everybody. That means it’s time for another great night of programming on WDVX with This Week in Americana at 6:00, Tennessee Shines at 7:00, and The Americana Pulse taking you into the night from 8:00-11:00. 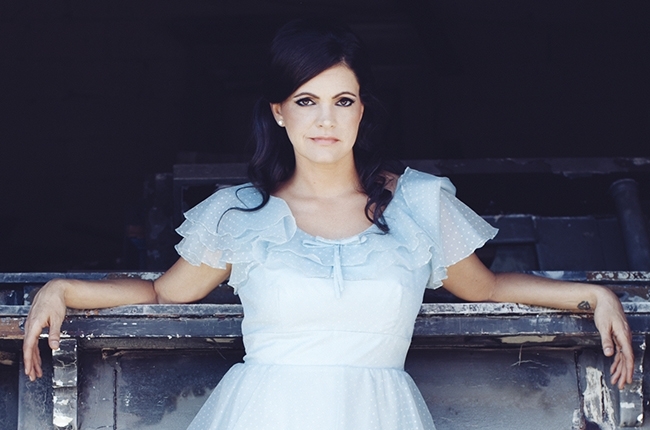 Tonight on The Americana Pulse, I’ll share my interview with Angaleena Presley on Three Songs at 8:30. Angaleena came to visit the station back in February for First Friday Live, and we had a good long chat before the show. Through the half-hour, Angaleena talks about her love for Loretta Lynn, stalking Chris Stapleton, and why “Desperado” was stuck in her head on the day we spoke. She also talks about growing up as the daughter of a coal miner in Eastern Kentucky and some of the issues facing her home town today. It’s worth taking a listen, if I say so myself. 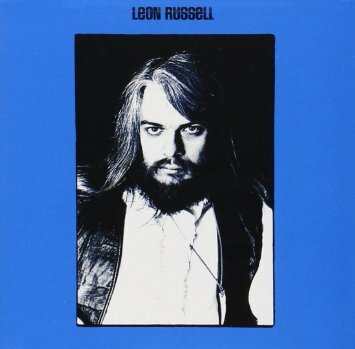 We’ll also be spending some time with Leon Russell’s self-titled 1973 release as our Classic Album throughout the night. You might remember that Allison Moorer selected Russell’s “A Song for You” in her Three Songs interview last week. That conversation inspired me to revisit this work that is full of great songs… and some tremendous guests. Of course, the night begins at 6:00 with This Week in Americana. As always, I’ll start the hour by taking a look at this week’s Americana Album Chart, share a bunch of new tunes (Rhett Miller, Lindi Ortega, Ray Wylie Hubbard, and more), and take a look at the new Country Music Hall of Fame class that was announced today. Oh yeah… we’ll also play that new track from Sara Watkins, Sarah Jarosz, and Aoife O’Donovan. In between my two shows, we’ll throw you all down to Boyd’s Jig & Reel for this week’s installment of Tennessee Shines. It’s gonna get a little folky tonight with Louise Mosrie & Cliff Eberhardt. The show starts at 7:00, and will be broadcast online and on the air by WDVX. I should remind you, however, that the live audience at Jig & Reel will get a few extra tunes after the radio broadcast is complete. It’s gonna be a good night. Get out the show, turn on your radio, or turn on your computer. We’ll be there with you until 11:00. Something I’m going to try to do each week going forward is a little exploration of various artists through their YouTube catalogs. I had fun with the Whitehorse post last week, so I thought I’d keep it going. This week, we’re visiting with Chris Masterson and Eleanor Whitmore… better known as The Mastersons. Chris and Eleanor have put out two records now on the New West label, with their latest, Good Luck Charm, coming out last summer. While they’ve only been recording as a couple (Chris & Eleanor are married) for a few years, each of The Mastersons has a solo record to their credit that predates the band as well as a string of credits working with artists ranging from Son Volt to Levon Helm. In 2011, Chris and Eleanor joined Steve Earle’s band and became featured players on his tours and records. Their 2012 debut record Birds Fly South was recorded around tours with Earle, and the two have continued to pull double duty with Earle and as their own entity ever since. We’ll start with a few tunes off their newest record, including the official video for “Closer to You” as well as live recordings of “Good Luck Charm” & “Uniform” from the record. Birds Fly South ranked as my favorite release of 2012, and we’ll close out our video tribute to the The Mastersons with a couple of tunes from that record. “One Word More” was the lead single from the album and came complete with an official video. The other video is a live recording of “The Other Shoe” recorded in Woodstock. 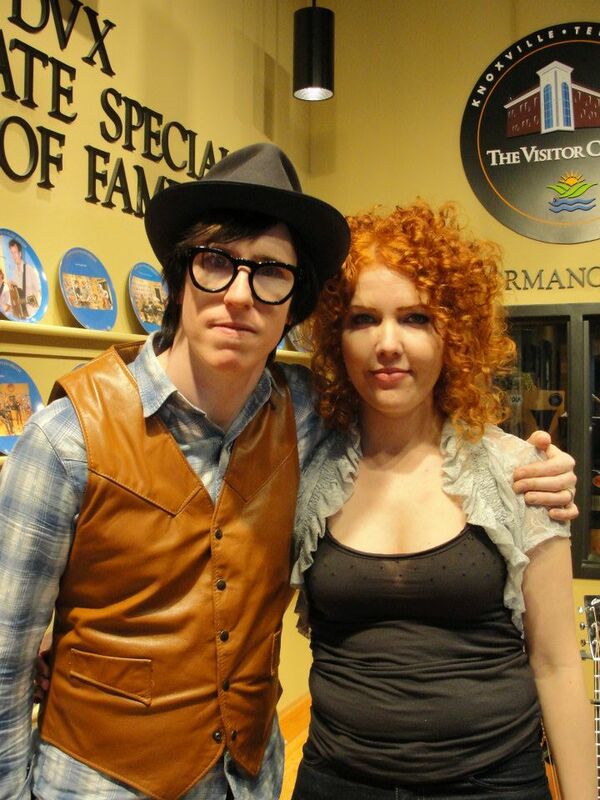 Eleanor’s sister, Bonnie Whitmore, is a pretty rad artist in her own right, and has been known to tour as a member of The Mastersons from time to time as well. You can see her in both of the “official videos” above (she’s fighting lady in “One Word More” and is taking out the trash in “Closer to You”), but I wanted to giver her a turn in the spotlight too. Here’s a live look at one of my favorite Bonnie Whitmore songs. The entire musical world descended upon Austin, Texas this week for the annual South by Southwest Festival. Except… a whole bunch of people didn’t. 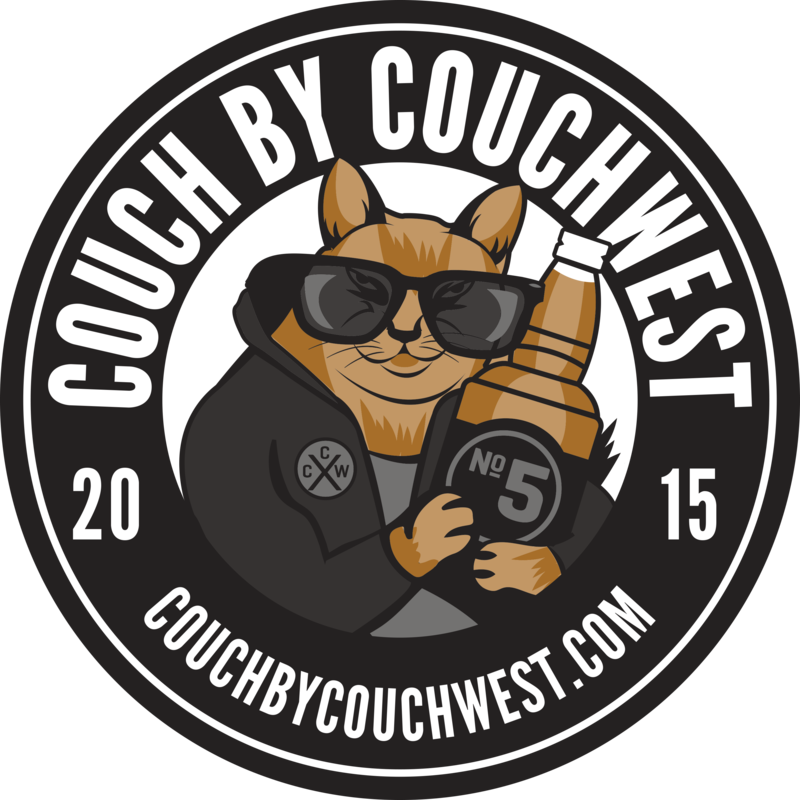 For those of us without the means or desire to head to Austin this week, The Couch by Couchwest Festival has served as a more than adequate substitute for five years now. Billed as an online music festival, CXCW invites artists of any stature to record and submit original videos. The videos are then posted to the CXCW website during the week of SXSW. What results are hundreds of videos from unknown talents and established stars. You’re guaranteed to find a new favorite and a few surprises every day. Rosanne Cash did a video last year. Neko Case has shown up in the past as well. I heard Aaron Lee Tasjan for the first time at last year’s CXCW. Glen Hansard even showed up this year. Ray Wylie Hubbard, Austin Lucas, Gretchen Peters, Tim Easton, Will Kimbrough, American Aquarium… I could keep going. Of course… you know Knoxville is always well represented as well. We have a great group of artists in this town. If you have some time, head over to Couch by Couchwest and check it out. You’ll find plenty videos from some of your favorite artists, but take the time to check out some unknowns too. I promise you’ll find something amazing… like maybe something from producer/shredder extraordinaire Eric “Roscoe” Ambel or WDVX First Friday alums Bear Medicine. Here’s something from the first year of CXCW. It’s BJ Barham from American Aquarium debuting a (then) brand new song back in 2011. It’s something BJ has made a habit of. WDVX has an average of about 15 artists per week playing live at our studio in some form or another. Those performances (along with all our programming) are archived on our website to stream for two full weeks. Each week, I give you a little guide to where and when you need to go to hear some of the week’s highlights. Simply choose the day and hour you want to listen to. Wednesday 3/18 at 7:00 – Mic Harrison & The High Score on Tennessee Shines. One of those Knoxville artists who always represents at CXCW is Mic Harrison & The High Score. Wednesday afternoon, Mic & the boys posted their 2015 entry to the CXCW site. Wednesday night, they blasted the stage at Boyd’s Jig & Reel with a full hour of roots rock & roll that included newer favorites alongside tunes that stretched all the way back to Harrison’s days in the V-Roys. Wednesday 3/18 6:00-7:00PM, 8:00-11:00PM – This Week in Americana & The Americana Pulse. My weekly turn in the WDVX dj booth kicked off with This Week in Americana at 6:00. In that hour, we streamed a few tunes from CXCW, and played some great new tracks from Ray Wylie Hubbard, MilkDrive, Asleep at the Wheel with OCMS, The Sweetback Sisters, and The Steel Wheels. After Tennessee Shines, we kicked off The Americana Pulse with a birthday tribute to Tim O’Brien at 8:00 before getting into our Three Songs conversation with Allison Moorer at 8:30. Allison shared her favorite Leon Russell song, talked about the challenges of raising a child with autism, and basically just overflowed with joy over her new record. 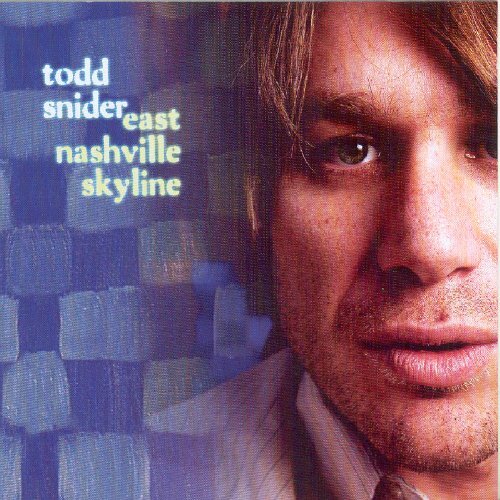 We also shared some tunes from our Classic Album, East Nashville Skyline, from Todd Snider. I’m particularly partial to the last hour of the show that features a rockabilly rave-up set built around Snider’s “Nashville,” and a mini musical history of the many bands of Alejandro Escovedo. With Tennessee Shines’ move to Wednesday nights, WDVX’s Monday night shows have been bumped up an hour with Katie’s The Category Stomp now kicking off at 7:00. More than anyone else on our station, Katie routinely stretches the boundaries of Americana from its most traditional forms all the way to more eclectic and esoteric extremes. To say that another way… Dr. Dog and Doc Watson are both welcome in Katie’s world. You can expect a healthy dose of John Hartford every week as well. *With all the talk about CXCW, it’s easy to forget that SXSW also took place this week. I don’t want to spend too much time on the events in Austin, but this video of Courtney Barnett performing at Stubb’s BBQ for NPR Music is just too good to pass up. Courtney’s new record, Sometimes I Sit and Think, and Sometimes I Just Sit, will be released in just a few days. Barnett careened through a set of tunes from the new record with pure fire and abandon. *We’ll stick with NPR Music for our second note this week as well. Ann Powers has the scoop on a new Buffy Sainte-Marie record that will be released in May. NPR is also streaming the lead track from that album, a remake of Sainte-Marie’s 1964 classic “It’s My Way.” Power in the Blood is the 74-year-old songwriter’s 18th record. Younger fans like me who discovered Sainte-Marie through Neko Case’s cover of “Soulful Shade of Blue” should really dig the sound and production on this track. *Kind of like American Aquarium, William Elliott Whitmore is one of those artists I’ve been aware of for some time, but I’ve missed out on listening to because I don’t recall his records being serviced to radio in the past. Like American Aquarium’s Wolves, Whitmore’s new release, Radium Death, is the kind of album that makes me want to go back and buy some of his back catalog. “Civilizations” from the new record is streaming at The Bluegrass Situation. Radium Death will be released March 31st. *Finally, The Punch Brothers stopped by the NPR Music offices this week to perform a Tiny Desk Concert. Their new album, The Phosphorescent Blues, is full of the same adventurous acoustic stylings the Chris Thile led project has become known for. It’s always a treat to see these guys perform live. *Let’s leave you with one more classic track from CXCW past. This Cadillac Sky video comes from the inaugural festival back in 2011. Yes, that is David Mayfield on guitar. I miss this band. Tonight on The Americana Pulse, I’ll finally get to air an interview I’ve been wanting to share with you guys since last September. Allison Moorer released her new record, Down to Believing, yesterday. Tonight on Three Songs (8:30), you’ll hear Allison talk about that new record, why Leon Russell’s music gets stuck in her head, and what it’s like to raise a son with Autism. We’ll also hear a song from the album that you’ll probably never hear again on WDVX. We had to break out the bleep button… but it was well worth it. Also, throughout the night, we’ll be spending a good amount of time with Todd Snider‘s East Nashville Skyline in our Classic Album segments. I’ve been listening to Todd’s music a lot lately after reading his book late last year, and I still think Skyline stands as the best, most complete album of his career. I just hope the guy is still doing OK.
Of course, the night begins at 6:00 with This Week in Americana. As always, I’ll start the hour by taking a look at this week’s Americana Album Chart, share a bunch of new tunes (Feufollet, MilkDrive, William Elliott Whitmore, Ben Sollee, and more), and even share a few nuggets from this year’s Couch By Couchwest online music festival that’s going on right now. East Tennessee’s Own Mic Harrison & The High Score debuted their CXCW video last night. Tonight, Mic & the boys are playing Tennessee Shines from Boyd’s Jig & Reel in Knoxville’s Old City. If you can’t make it down to the show, we’ll broadcast the whole thing live on WDVX at 7:00. It’s gonna be another good one. Check us out on the radio or online at www.wdvx.com to get in on another great night of music on East Tennessee’s Own.